Lakeshore Records will release LOST IN SPACE - Netflix Original Series Soundtrack digitally April 13, 2018 with a CD release forthcoming. The album features original music by composer Christopher Lennertz (RIDE ALONG, MEDAL OF HONOR, MARVEL’S AGENT CARTER). Produced by Legendary Television, LOST IN SPACE is a Netflix Original dramatic and modern reimagining of the classic 1960’s science fiction series. Set 30 years in the future, colonization in space is now a reality, and the Robinson family is among those tested and selected to make a new life for themselves in a better world. But when the new colonists find themselves abruptly torn off course en route to their new home they must forge new alliances and work together to survive in a dangerous alien environment, lightyears from their original destination. LOST IN SPACE stars Toby Stephens (Black Sails, Die Another Day) as John Robinson, and Molly Parker (House of Cards, Deadwood) as Maureen Robinson. As the Robinson kids, Taylor Russell (Falling Skies) is the strong-willed and confident Judy, Mina Sundwall (Maggie’s Plan, Freeheld) is the quick-witted and definitive middle-child Penny, and Max Jenkins (Sense8, Betrayal) is the curious and sensitive Will Robinson. Stranded along with the Robinsons are two outsiders who find themselves thrown together by circumstance and a mutual knack for deception, the unsettlingly charismatic Dr. Smith played by Parker Posey (Café Society, Mascots, A Mighty Wind) and the inadvertently charming Don West, played by Ignacio Serricchio (Bones, The Wedding Ringer). LOST IN SPACE premieres April 13, 2018 on Netflix. 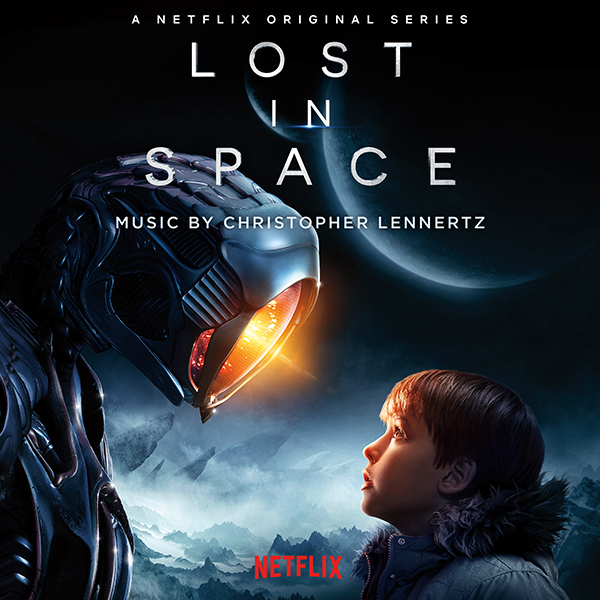 Lakeshore Records will release LOST IN SPACE - Netflix Original Series Soundtrack digitally April 13, 2018 with a CD release forthcoming. One of the best scores, this year... so far!